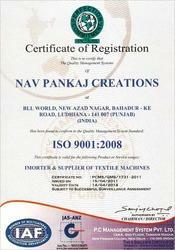 We, “Nav Pankaj Creations”, established in the year 2000, are an ISO 9001:2015 certified organization engaged in Trading, Importing, Supplying and Wholesaling a versatile assortment of Knitting & Embroidery Machines to the valued patrons. Our product line comprises Flat Knitting Machine, Computerized Flat Knitting Machine, Sweater Knitting Machine, Computerized Sleeves Knitting Machine, Sleeves Knitting Machine and others. In addition to this, we also offer Embroidery Machine, Multi Head Embroidery Machine, Computerized Embroidery Machine, Multi Head Computer Embroidery Sequin Machine and others. These knitting & embroidery machines are manufactured at the certified patrons end by making use of highly efficient and sophisticated techniques in compliance with the industry laid parameters. To carve a strong position in the market, we offer this range of machines in diverse sizes, grades and other detailed specifications as per the demands of our patrons. In addition to this, our entire assortment is highly valued by the customers owing for its attributes such as minimal maintenance, sturdy construction, excellent performance, high efficiency and longer service life. We are housed with a well furnished and fully advanced setup that facilitates us to offer our patrons with an outstanding array of quality products. In addition to this, we are also blessed with a team of qualified adroit professionals who have so far helped us achieve a distinctive position in the market. Our team of skilled employees make sure to use optimum quality raw material along with all the available resources to face the challenges of this cut throat competitive market in a systematic manner. Moreover, quality controllers recruited with us conduct rigorous quality tests on the offered product line to assure the superlative quality and efficiency of the offered knitting and embroidery machines. Under the constant motivation and able guidance of our mentor, 'Mr. 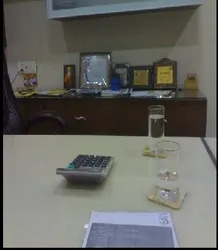 Amit Jain', we have reached the towering heights of growth and success in this domain. His in-depth knowledge, rich industry experience and outstanding managerial skills have enabled us to muster a huge client base all over the market. We are mainly looking for queries from Ludhiana. We are associated with a team of highly experienced and qualified team of professionals who strive to fulfill the ever changing demands of the current market dynamics in the most promising manner. These professionals make sure to meet the variegated requirements of the patrons to attain their satisfaction and trust. 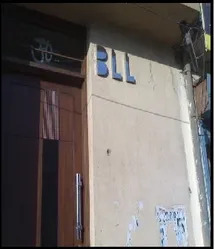 Hired after test and analyses of their industry experience, these professionals strive hard to garner huge market and ensures smooth functioning at our premises. Sprawled in vast area, we have developed a sound and sophisticated infrastructure. Our well knitted infrastructure acquires precisely advanced machinery and equipment, together with efficient and experienced team, to bring out the best product range. We lay emphasis on each and every aspect of the quality control process, in order to cope up with the evolving changes. We are a coveted organization of this domain, engaged in trading a commendable array of Industrial Machines. Committed towards quality, we are instrumental in offering a quality product to our clients. Our unmatched efforts and efficiency have helped us to muster a huge client base all across the industries and sectors. We have associated ourselves with accredited vendors of the market who enable us to offer a compact product-line. The vendors we are in collaboration with utilize optimum grade raw material for the manufacturing process along with advanced technology and latest techniques at their premises. Their team of professionals make sure to follow stringent quality guidelines and norms to fabricate a defect-free range of Industrial Machines. We lay utmost importance at providing quality product line to our esteemed clients that enables us to garner maximum degree of client satisfaction and trust. To achieve the same, we make sure to deliver all our consignments within the time frame. In addition to this, we welcome valued feedback from our patrons that further helps us to work in a more appropriate manner. Our team of qualified, skilled and committed team of employees work in close bonds with one another to offer customized solutions in accordance with the specific requirements of our clients. Owing to the efforts of our diligent and skilled team, we are instrumental in offering a versatile array of Industrial Machines to the patrons. Following ethical corporate policies, we have been able to muster a huge client base along with striving high on the ladder of success. Due to quality range that we specialize in, we have made our presence felt in the entire Indian Subcontinent market.